* make sure the shared post is set to public so we can see it. Comments on our post are NOT counted. Only the ones who share the photo and like our page are qualified. Winners will be notified via FB Private Message, and are chosen randomly by a contest system. Please send us a PM via FB Page at (http://www.facebook.com/backyardburgersdavao) so we can send you a link to you official invitation. You must register to claim your ticket. 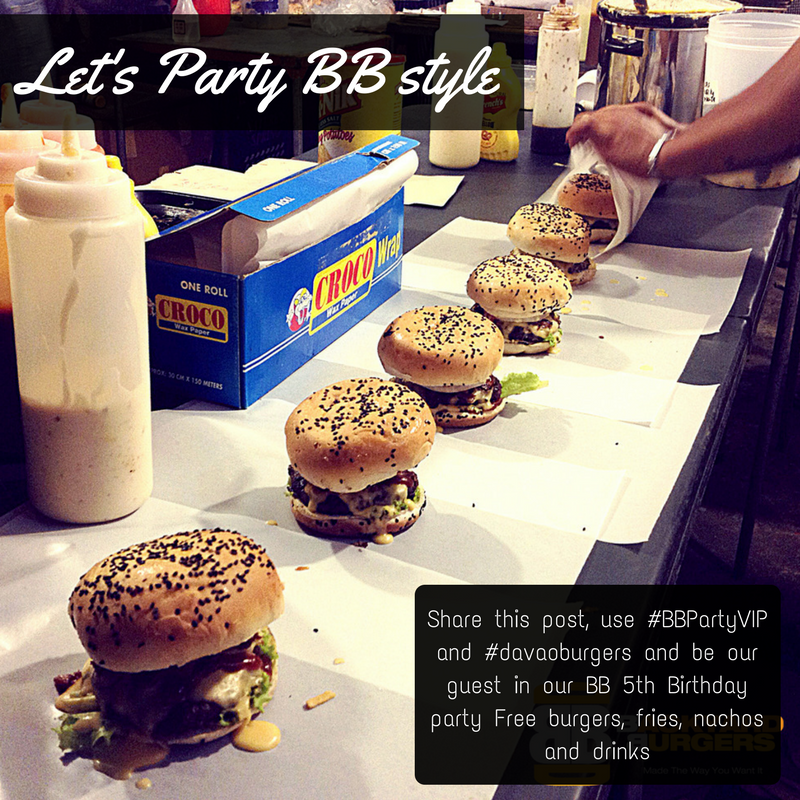 Backyard Burgers 4th Anniversary Month – Promos and Deals! Backyard Burgers “NEW BB Burger Sensation” Contest! !